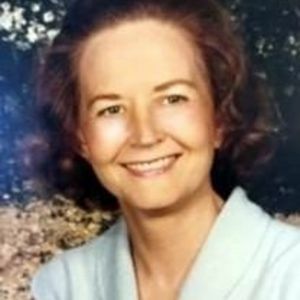 Muriel Elizabeth Kuhn died on December 21 in Durham, North Carolina surrounded by family. She was born June 30, 1926 in Hialeah, FL to David P. Autrey, Jr. and Mary Muriel Sprayberry. Her husband Mark Abraham Robert Kuhn, M.D. and her brothers Eugene Autrey and David Autrey predeceased her. She attended Jackson Memorial Hospital School of Nursing in Miami, FL where she met her husband-to-be, Dr. Mark Kuhn, who was an intern at Jackson Memorial Hospital. She knew that she wanted to be a nurse since childhood after spending many hours playing quietly in the reception areas of hospitals while her mother worked as a L.P.N. On August 25, 1945, Muriel was baptized into the Roman Catholic Church in preparation for her marriage to Mark. She left Jackson Memorial Hospital's School of Nursing and was married to Dr. Mark Kuhn on September 1, 1945. After moving to Iowa for her husband to finish his urology residency, Muriel heard a radio advertisement requesting nurses with any level of training to return and finish their education as they were needed for the World War II effort. After which, she returned to school in Iowa and completed her Registered Nurse degree. Muriel had a lifelong interest in education and travel. In 1960, Mark and Muriel moved from Waterloo, Iowa to Ft. Lauderdale, FL since her husband had always promised he would eventually bring his Florida girl back to the Sunshine State. Muriel raised their three children while also finding time to return to school at Broward Community College and Florida Atlantic University to earn her Bachelor's degree. She was an excellent cook with friends and family remembering many delicious meals and a freezer full of homemade pies, cookies, cakes, and sweet rolls. She learned to sew beautiful, custom-made clothing for her daughters and planned many family vacations across the USA and Europe. Muriel and Mark retired to Deland, FL in 1980 where they became active in establishing a retired doctor's group and taught themselves investing principles, going to the library and working together on researching solid companies. She was devoted to her family, giving her children and grandchildren many fond memories of visiting "Mo." Muriel and Mark were married for 67 years before she lost her husband in August of 2012. She is survived by her children Mark Kuhn, Susan Whitney and Janet McNamara and her grandchildren: Elena Turner and Eric Kuhn, Charlie McNamara, Muriel Collins and Rory McNamara and Sevilla Dees and Thomas Trevisani, II and her great-grandchildren: Alula and Stella Turner as well as an extended family of nieces, nephews and cousins. Visitation and viewing will be held at Immaculate Conception Catholic Church, 810 West Chapel Hill Street in Durham on Wednesday, 12/27 at 1:00 pm. A funeral Mass will follow at 2:00 pm at Immaculate Conception Church. Another service will be held in Florida where Muriel will be buried in January 2018. A reception will follow Wednesday's Mass, with location yet to be determined. In lieu of flowers, the family requests a memorial donation be made to: Carolina Friends School Tuition Aid Fund. Arrangements by Brown-Wynne Funeral Home, St. Mary's Str., Raleigh, NC.